Hailey Baldwin has called “divorce lawyers” months after getting married to Justin Bieber, claims a news report. Gossip Cop has debunked this story. The brand new trailer for “Avengers: Endgame” offers a lot to take in. While the upcoming sequel will end with some of the heroes completely unscathed, it will also see some of them turn to ash. Are Jennifer Lopez, Alex Rodriguez Considering Open Marriage? In 1985, Princess Diana excitedly prepared a surprise Christmas gift for her husband. 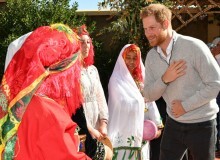 Unfortunately, the surprise got everyone thrilled but Prince Charles. Were Brad Pitt, Jennifer Aniston In Paris For Their Honeymoon? Did Brad Pitt And Jennifer Aniston Secretly Wed In Mexico? Will Jennifer Lopez And Alex Rodriguez Have A Mexico Wedding? 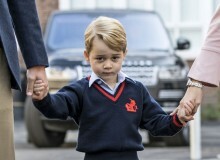 How Old Must Prince George Be Before He Becomes King? 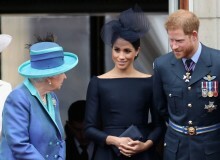 Although the royal family is bound by royal protocols, they go against tradition from time to time. Prince William and Duchess Kate Middleton are no exception to that. Justin Bieber and Hailey Baldwin are said to be on the verge of a split. The model allegedly wants a divorce because of Bieber's depression.